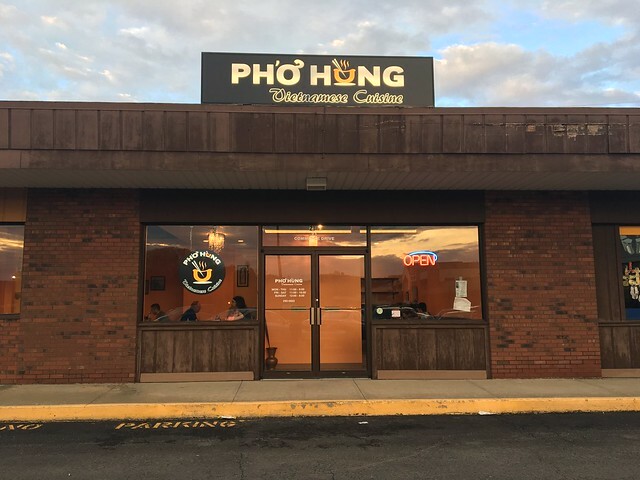 ATTENTION: Morgantown now has a pho restaurant. "It's about time," you and I both collectively sigh in relief. 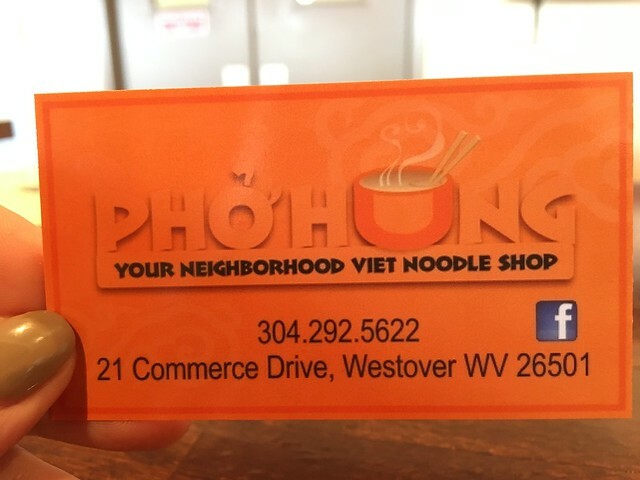 The Vietnamese noodle soup craze has swept the country for the past few years, and Morgantown is finally joining in. 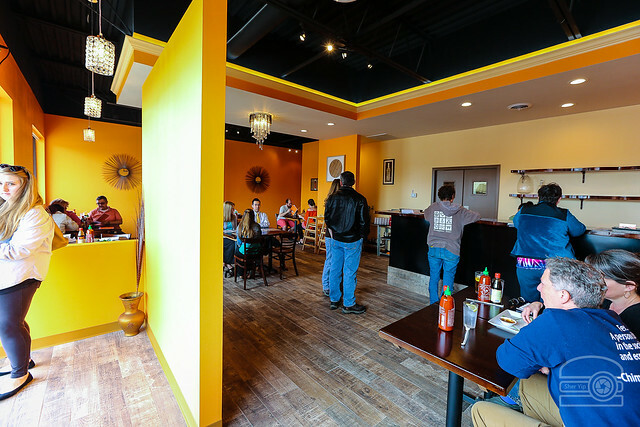 Pho Hung opened on Saturday in Westover. Located in the plaza with Big Lots, there's plenty of parking, it's easy to find, and it's not too crowded. 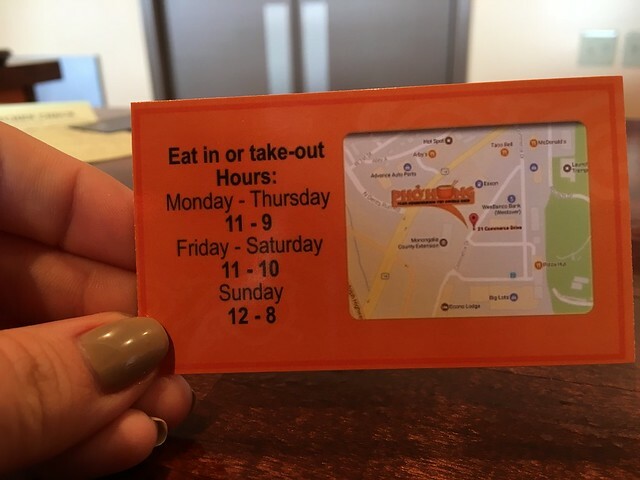 The actual restaurant has fewer than a dozen tables, so it's fairly small. So, I had actually tried to come on Saturday when they opened, but we were turned away because they ran out of food. So, we came back on Sunday and initially were turned away at noon because they said they needed more time to prep, but then we were waved back in. So, finally! Got to try it! Pho is a noodle soup; bun is the same noodles from the soup but atop greens and with a meat; "com" is a rice plate + whatever meat it comes with; and Vietnamese Iced coffee is darker and thicker than most American coffee but sweetened condensed milk is pour over. 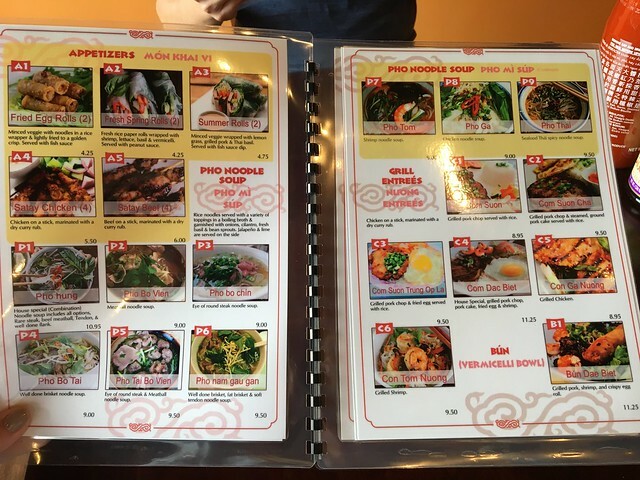 Arguably the most popular Vietnamese dish in Houston, pho -- or rice noodle soup -- is a relatively new dish by Viet standards. Believe it or not, this very Vietnamese dish has Chinese and French roots: Chinese influence in northern Vietnam brought rice noodle and the signature pho spices such as anise, ginger and cinnamon, while French occupation of what was then called "Indochina" encouraged the consumption of beef. 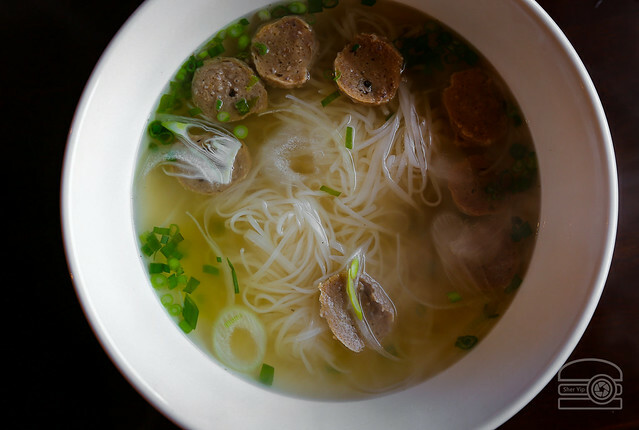 Pho is made by boiling animal bones down into a rich stock, then adding in rice noodles, spices, meat and vegetables. 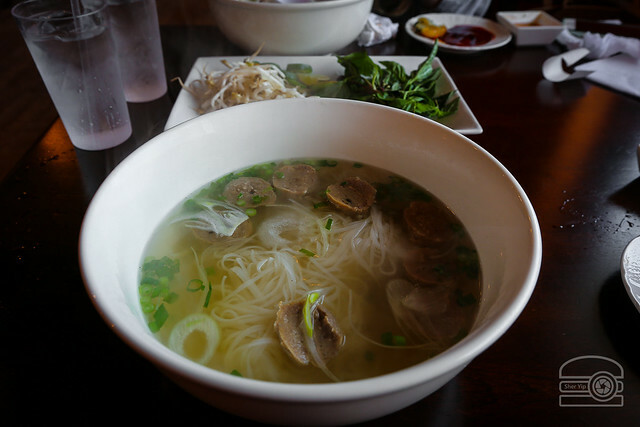 Although most pho has a beef base, pho ga (chicken pho) is gaining in popularity. 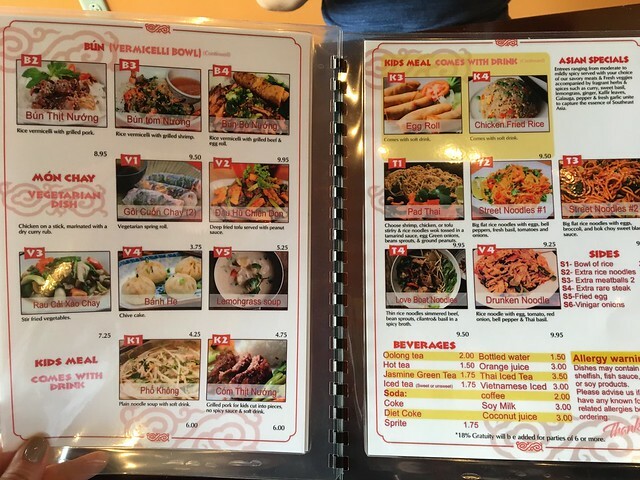 A bowl of pho comes with garnishes and sauces that allow you to customize it to your taste. 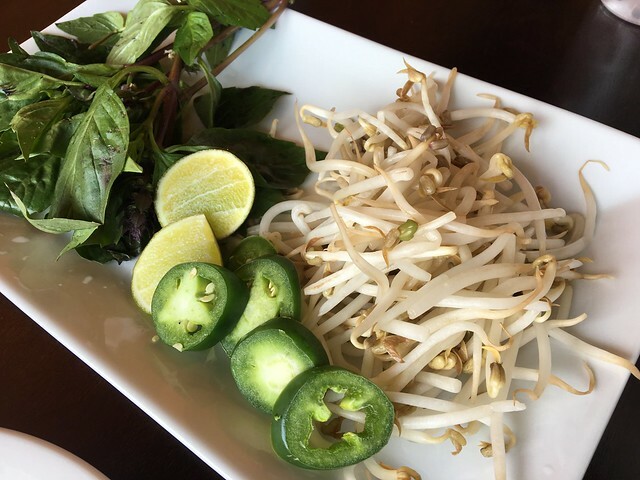 Typical garnishes include basil, lime, cilantro, jalapeños, crunchy bean sprouts, sweet hoisin sauce and spicy Sriracha. 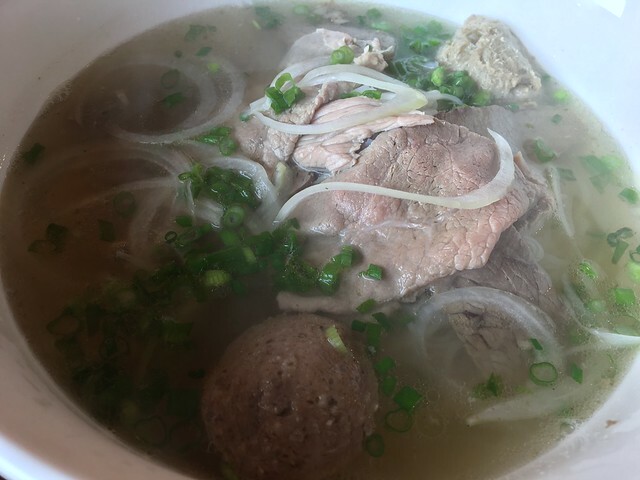 Popular combinations like pho bo vienadd spongy beef meatballs to the soup. Pho tai adds thinly sliced rare steak which cooks in the broth and pho nam adds slices of brisket (Source). We ordered a few different appetizers so we could try a little of everything. 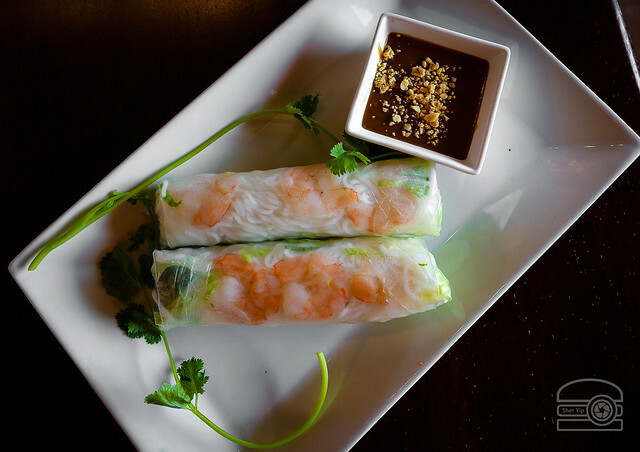 Fresh Spring Rolls - fresh rice paper rolls wrapped with shrimp, lettuce, basil and vermicelli. Served with peanut sauce. These were really good. They're light, fresh and simple. 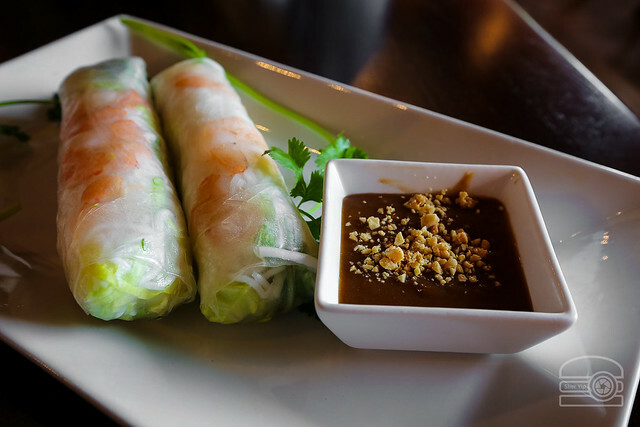 The peanut sauce on the side is a little sweet and just delicious. Fried egg rolls - minced veggie with noodles in a rice wrapped & lightly fried to a golden crisp. Served with fish sauce. These remind me of the eggrolls one of my coworkers brings in that I absolutely love. I definitely think there was pork in these, and they were absolutely delicious. Very nice and crisp with a lot of seasoning inside. The fish sauce on the side made it. Banh He - chive cake. 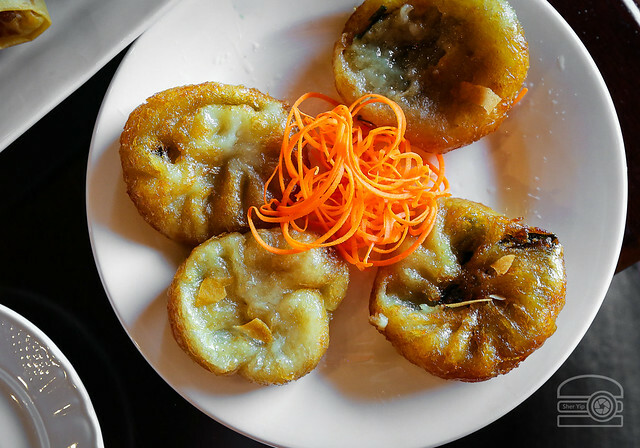 The photo showed more of a dumpling, and these were more like fried saucers, but not bad. Not my favorite of the group, but a decent - and vegetarian - option. Pho Tai Bo Vien - eye of round steak and meatball noodle soup. My pho came with the steak and meatballs. Usually the steak is put in rare and cooks in the broth. Mine was pretty much already done once it arrived, but that doesn't matter to me too much. I think the broth was good - flavorful and light. The meatballs and steak were tasty. I added some hoisin and some lime to make it perfect. Sher got just the meatball one, which you can see above. Let me be clear, the serving size of this thing is huge. 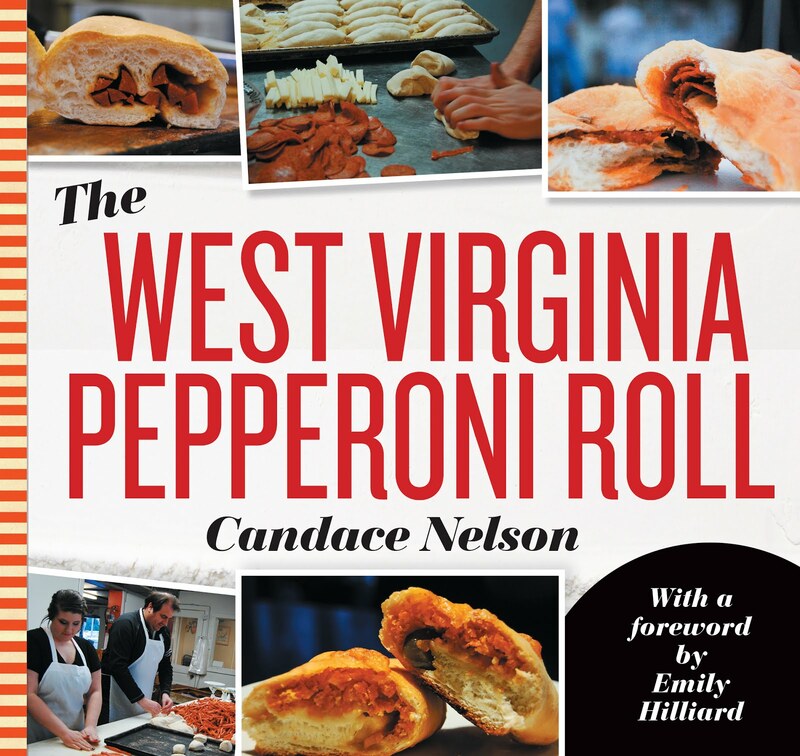 You could easily get two meals out of it (and, I did). The mix-ins came out a bit later. I'm a bit picky about my sprouts, but I definitely used up the lime. Besides the wonky service (they brought out the wrong dish and then Sher had to wait quite a while before they got the right one), the food is quite good. I am by no means an expert, but I really enjoyed each of the dishes. The pho has a great broth, and the meatballs/beef were delicious with just a touch of hoisin and sriracha. 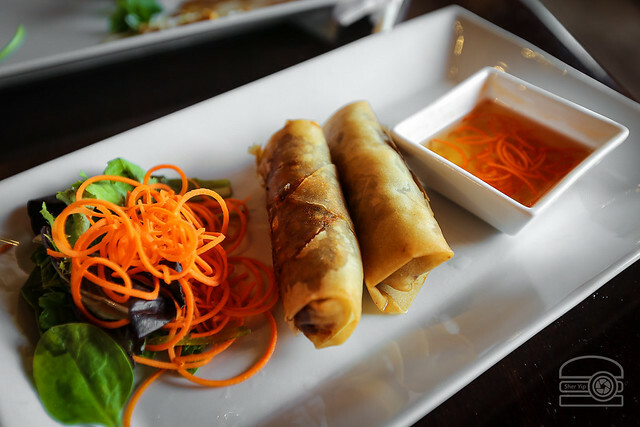 The egg rolls and spring rolls were both fantastic. I also love that this is something town has been lacking for quite some time, so it's really nice that if you're feeling a craving for a giant bowl of noodle soup, you can satisfy that easily in town - and at a pretty good place, at that.